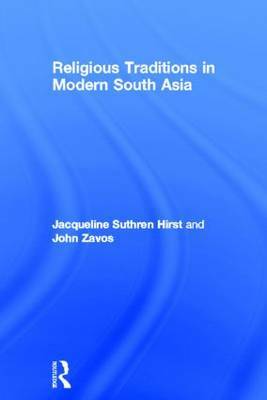 This book offers a contemporary approach to the study of religion in modern South Asia. It explores the development of religious ideas and practices in the region, giving students a clear and critical understanding of social, political and historical context. Part One takes a fresh look at some familiar themes in the study of religion, such as deity, authoritative texts, myth, worship, teacher traditions and caste, and helps students understand diverse ways of approaching these themes.Part Two focuses on some of the key ways in which Buddhism, Hinduism, Islam and Sikhism in South Asia have been shaped in the modern period. Overall the book considers the impact of gender, politics, and the way religion itself is variously understood. The chapters contain a compelling range of primary source materials and a series of geographical and historical `snapshots' to orientate readers to South Asia. Valuable features for students include images, task boxes, discussion points, suggestions for further reading, a timeline and glossary of terms. "This book captures the complexity and intricacy of lived religious practice in South Asia through well-chosen case studies and focus on crucial questions. Highly recommended"